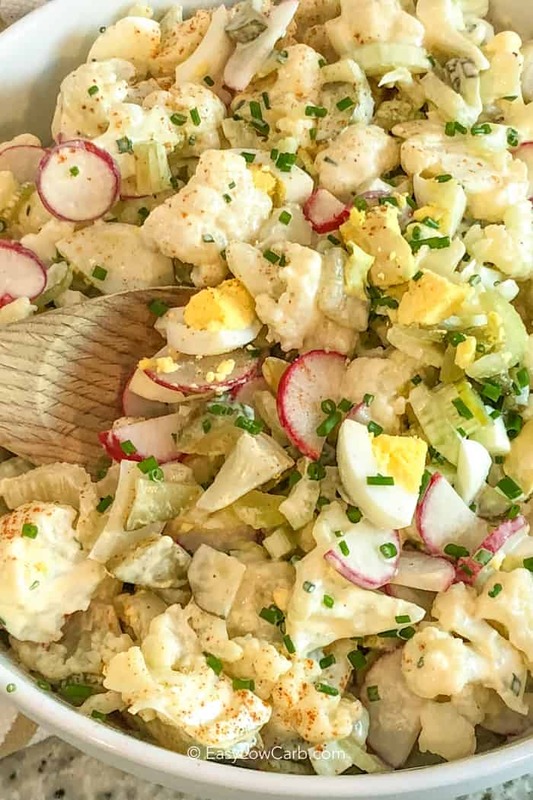 Despite the name, Cauliflower Potato Salad doesn’t actually contain potatoes, making it the perfect keto side dish. 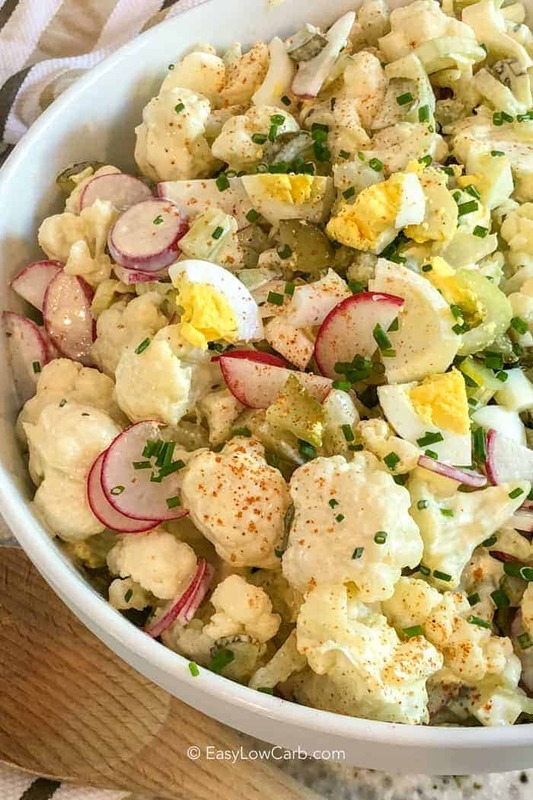 Potatoes are replaced with boiled cauliflower, then tossed in a creamy homemade dressing with pickles, eggs, radishes, and celery. Delicious! This long weekend, we had a potluck celebration and a few of our family friends were telling me about their keto lifestyles. Lucky for them, I had this cauliflower mock potato salad ready to go! Everyone raved about this cauliflower potato salad recipe, and I am sure glad I made a double batch! In fact, EVERYONE raved about this salad (including the people who weren’t on keto) and asked for the recipe. The dry mustard powder and garlic powder add lots of flavor to this potato salad dressing. 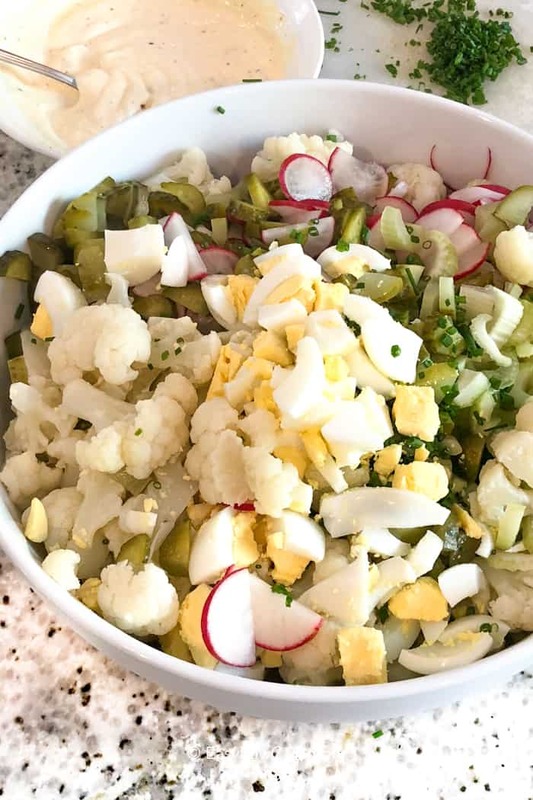 Healthy cauliflower potato salad can be made in advance and brought with you wherever you’re heading, which I love doing. 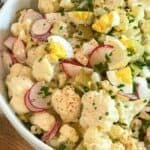 Even if I don’t have a potluck planned, keeping this cauliflower salad in the fridge is the perfect side dish or snack. Start by boiling your bite sized cauliflower pieces until they are tender, but crisp. Don’t over boil them, or you will end up with a mushy cauliflower mock potato salad (which no one loves). Allow your cauliflower to cool completely before you add the dressing, I like to stick mine in the fridge or freezer if I am in a rush. While the cauliflower boils, get your dressing ready. Combine all the ingredients to taste. Sometimes, I like adding a little bit of chili powder to my cauliflower salad, but it isn’t for everyone! Add your celery, radishes, eggs, green onions, and dill pickles (my secret ingredient for all cold salads – yum!). Once your cauliflower is completely cooled, toss until everything is well combined. Cover your cauliflower potato salad for at least two hours in the fridge to allow the dressing to really be absorbed by the rest of the ingredients. 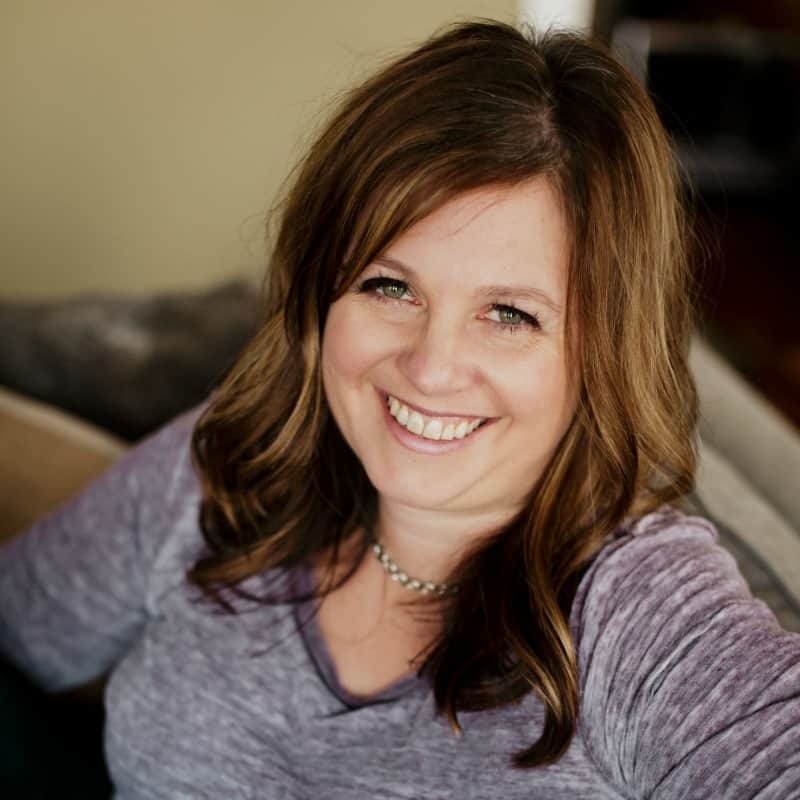 Serve alongside your favorite keto friendly main dishes like Italian Stuffed Burgers, or bring it to a party and impress your friends with your mean cooking skills! Cauliflower pasta salad lasts about 5 days in the refrigerator so it’s perfect to make ahead of time! A low carb potato-less salad perfect to serve alongside your your lettuce wrapped burgers! Boil cauliflower until tender crisp, about and cook until just fork tender, about 8 minutes. Drain very well and allow to cool in a strainer. In a large bowl whisk together the dressing ingredients. Add remaining ingredients and toss to combine. It is important to ensure your cauliflower is very well drained to keep the dressing from getting watery. I cook Cauliflower, Broccoli, and Asparagus in the microwave. It’s easy to get that perfect tenderness, and there’s no need to drain the veggies before serving. Must make that salad. Looks yummy. Specially trying to lose weight. Wow, this tastes just like potato salad but without the carbs of potatoes. Fantastic! So easy to prepare too. I will be bringing this to picnics and barbecues this summer. Thank you!